Since its formation in 1990, the Friends & Supporters of Clare GAA in Dublin has raised in the region of Eu500,000.00, which has been disbursed to schools, clubs and County Teams at various levels in the Banner County. A key player in the group's ongoing fundraising efforts is its President and Founder Member - Sean Hegarty. 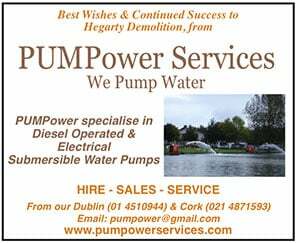 Native of Lahinch and proud Clare man, Sean has spent the past 51 years in the capital, where he heads up the well-known Civil Engineering & Demolition firm, Hegarty Demolition Ltd. 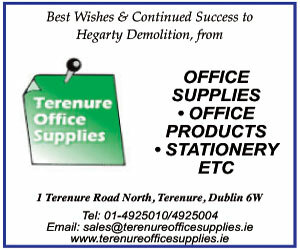 Recently, the Friends & Supporters of Clare GAA held their 24th Annual Golf Classic in Newlands Golf Club, and again, Hegarty Demolition Ltd. was the main sponsor of the event. "The fundraising has been very successful and we would like to think it has played a part in Clare's success over the years. We have received tremendous support from the County Board in that time. The majority of our funds come from our Golf Classic, which has been an annual fixture for the past 24 years, and it is always well supported by Clare people in Dublin and Friends of Clare from many counties." Sean was a Founder Member of Friends of Clare GAA in 1990, along with its current Chairman Christy Killeen, the late Myles Clancy, the legendary Ruan Clare Hurler Jimmy Smyth, who died last year and Pat O'Donnell, main sponsor to Clare GAA for many years. 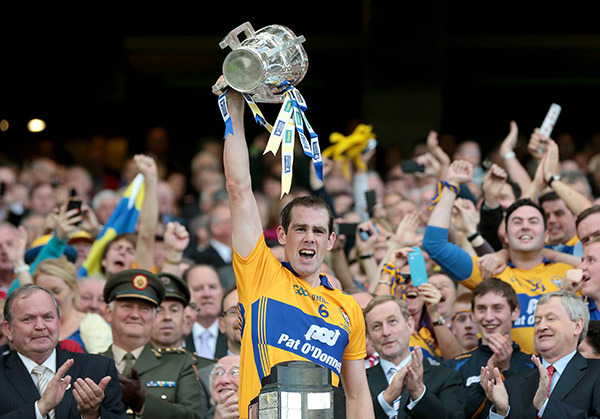 He has also had a long involvement with the Clare Association in Dublin, of which he is a former Chairman. Sean, who was the Clare Person of the Year in 2002 (Clare Hurling Manager Davy Fitzgerald currently holds that honour) rejoiced in the Banner County's All-Ireland winning feats at Senior and U21 level last year, and is hoping for more of the same in the summer ahead. All funds raised by Friends & Supporters of Clare GAA are specifically allocated to underage development of Hurling & Football in Clare. 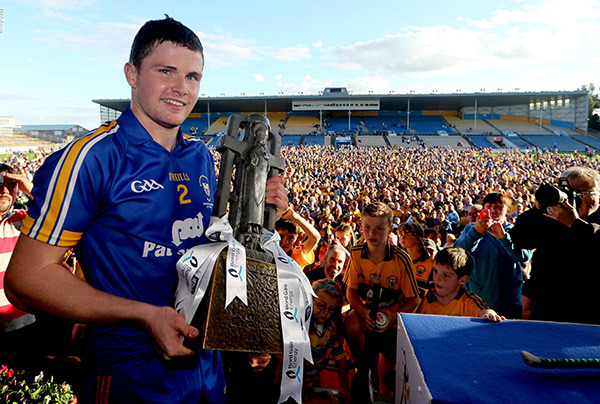 "This is the golden age for Clare Hurling, and it would be nice to keep it going for another few years" says Sean. A past pupil of Ennistymon C.B.S., Sean graduated in Civil Engineering in U.C.G. (now N.U.I.G.) before going on to work for building firms P.J. Walls and McInerney. 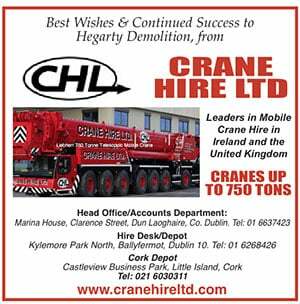 In 1971, Sean, with his wife Carmel (native of Miltown Malbay) established Sean Hegarty Earthworks Ltd., a company specialising in Industrial Development, Road Construction and Site Development. In 1990, he founded Hegarty Demolition Ltd. in response to the massive growth in Urban Renewal, Regeneration & Conservation. Hegarty Demolition Ltd. are now the recognised Market Leaders as Specialist Enabling Works Contractors and complete Service Providers in Demolition, Temporary Works, Basement Construction, Conservation and Civil Engineering. 1983 - 1990 - Founding Chairman of the Irish Association of Demolition Contractors. 1998 - 2003 - Chairman of the Irish Association of Demolition Contractors. 1983 - Member of the European Demolition Association. 2003 - 2008 - Chairman of Construction & Demolition Waste Council. Sean played a significant role in the implementation of Waste Management Legislation for the Construction Industry. 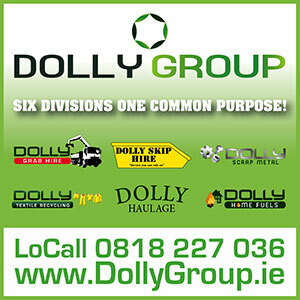 When Croke Park Development commenced in 1993, Hegarty Demolition Ltd. was the contractor appointed for the demolition of the Cusack Stand. Incidentally, a number of seats salvaged from the Stand were donated by Sean to the Michael Cusack Centre in Carron, thus maintaining the strong Clare links with the GAA. "We look forward to celebrating the 25th Annual Golf Classic next year, when we hope to again have the McCarthy Cup and Cross of Cashel (Under 21 All-Ireland Hurling) on display." The future has never looked brighter for Clare Teams at all levels, thanks to the dedicated Officers of the Clare County Board and the professional team management at all levels.